Watch tonight’s Endurance HOH Competition Live with a FREE TRIAL! 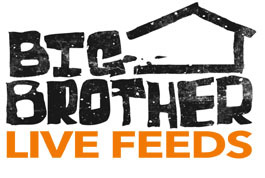 Be sure to sign up for the 24/7 live feeds right here to get a live and uncensored view inside the house. After your 3-day free trial, its only $9.99 14.99 per month! 6:21 The HOH competition is over. Hayden won the Head of Household. 6:02pm The live feeds will return soon and we will keep you updated. Watch for yourself with a 3-day free trial! Tonight’s HOH competition requires the houseguests to move Christmas tree ornaments along a wire fence. Watch it play out on the live feeds. By a vote of 2 to 0, Ragan is evicted from the Big Brother house.